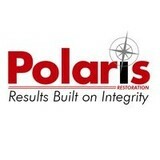 Polaris is a full service residential and commercial roofing contractor serving home and business owners to satisfy their roofing needs. We specialize in insurance related roofing claims and have the ability to work flawlessly with insurance companies to help our customers through the insurance claim process. Only Quality Will Stand the Test of Time. We are a Licensed and Insured general contractor with the experience needed to guarantee our work and deliver long lasting results. We offer services such as Roofing, Home Remodeling, Home Improvement and Construction and have been serving Yavapai County cities for 20 years now, we have provided excellent service and quality project execution for residential and commercial clients alike. From general repair work to new roof installation, Command Roofing LLC strives to complete projects on time, safely and within your budget. 20 Years' Experience. 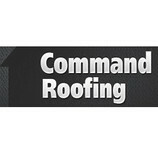 Command Roofing LLC guarantees your satisfaction...we will do whatever it takes to make sure you are happy. Command Roofing LLC handles everything from prep to clean up, we specialize in various types of roofing including shingled roofs, tile, Metal Roofing and more. So if you reside in Yavapai County and need a new roof installed during a construction project, or repair work done on an existing roof, Command Roofing LLC is the company to call. Whether you're in need of a new roof for a home expansion project or need repair work, Command Roofing LLC in Yavapai County has been serving local residents for many years now and can get the job done quickly, safely and within your budget. So tell us what you need from us. Call for a consultation and quote from one of our experts in the field. The Hahn family believes that there is more to roofing than nailing down shingles. Not your typical roofing company, the Hahns employ a crew of hardworking, amiable roofers who share an interest in pleasing the customer. The roof over your head is literally your first defense against the outside elements. Your entire home and possessions are at risk with a roof that is in bad shape. Water leaks can do some serious damage to the entire structure of the building. Continually neglecting your roof will only make for costly repairs down the road. The quicker you contact a reliable roofing contractor to fix the problem the less it is going to cost you. We are Flagstaff's qualified roofing company and we have the experience and know-how to do the job right. Choosing us as your roofing contractor will leave you with a secure roof over your head. Behmer-Burns Roofing & Sheet Metal Co.
Behmer-Burns Roofing & Sheet Metal Co. is a full-service Roofing Contractor serving Flagstaff, AZ and surrounding areas. We are a Roofing Contractor - it's all we do. With over 70 years of Roofing Experience, we can install any type of roof system, and we are approved applicators for most products. 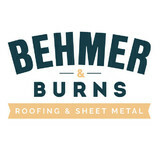 Behmer-Burns Roofing & Sheet Metal is built on Integrity and Quality Workmanship. The company was founded by Matt Behmer and Dale Burns, who both have a long, successful, history in the Roofing Industry in Flagstaff, Arizona. 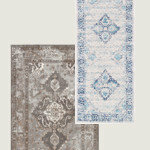 We employ the best, most experienced crews around, which translates into Quality and Convenience for You, the Customer. And because We are Roofers, Not Salesmen, means you will always get what’s best for you, not what’s best for us. Our specialty is Roofing, and Roofing Only…this includes Re-Roofs, Repairs, Maintenance, Sheet Metal and Snow Removal. Mikku and Sons Roofing is a family operated roofing company that's been providing top quality, professional roof repair and roof installation services in the Phoenix and Maricopa County area since 2001(ROC#167482). We service all cities in the Valley of The Sun, both east side and west side. We specialize in tile roofs, composite shingle roofs, flat roofs, foam roofs and single-ply roofs. 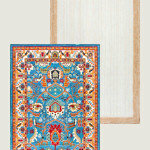 Our customer focus has resulted in hundreds of satisfied customers who understand the meaning of quality. Our mission is to strive for 100% customer satisfaction every time, by providing service above and beyond, in a timely manner, always taking into account the needs and budget of our customers, while providing competitive pricing. Whatever roofing services are required – residential roofing service, commercial roofing service, or roof repair service – our licensed, bonded and insured professionals will be there when you need them. We are an Arizona Licensed Contractor and fully insured for your protection. We're also a member of the Better Business Bureau, where we have an excellent A+ rating. Impeccable roofing services The rough weather in Arizona can take a toll on the roof of your home or business property. To help individuals like you in the Yavapai County area with this situation, the roofer at Bradshaw Mountain Roofing Inc of Prescott Valley, AZ has been performing superior roofing services for the last 22 years. To get FREE estimates for our roofing services, contact our roofers by calling 928-772-1145 right away. Based in Chino Valley, Arizona, BZ Roof'n has established itself as a responsible roofing company dedicated to providing quality and dependable service. Since 2003 BZ Roof'n has worked on a variety of projects across the Quad Cities area including high-end custom homes. We have also worked on projects in Flagstaff, Sedona, Seligman and the Hammock Ranch in Mayer, AZ. BZ Roof'n works direclty with local contractors that build custom homes in the Quad Cities area. BZ Roof'n is committed to providing quality service at an affordable price. 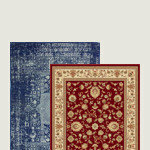 We start each project with quality material. Each house is unique an no attention to detail is overlooked. 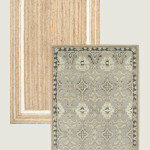 Most high-end custom homes have a lot of detail work that needs to be done right. BZ Roof'n takes the time to make sure these details are taken care of and done right the first time. We specialize in metal roofing, but we also do concrete tile, shingles, and custom metal work including crickets and chimney saddles. Sebastian And Sons Roofing LLC, is a family owned and operated roofing company located in Prescott Valley ready to provide exceptional roofing services to Prescott and all of Northern Arizona. At Sebastian And Sons Roofing, we pride ourselves on our outstanding craftsmanship and customer service. We are here to address your individual concerns and ensure our work is preformed to your satisfaction. Our team is courteous and professional with years of experience to give you peace of mind. Keefer Roofing is a family owned and operated company with three generations of field experience. We have been installing quality roofs in the Verde Valley, Cottonwood AZ and Sedona Arizona since 1997. Keefer roofing providing roof repair and installation for single family homes, multi-unit residential complexes and commercial building, we will provide excellent customer service and workmanship and will work with you from start to finish and long after the roof is completed. 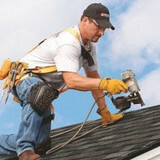 We specialize in all roofing related services from residential to commercial we have done it all. If you have a roof repair or need a new roof we can meet with you to discuss your options. Our qualified roofing expert with not only provide you a competitive estimate but they will inspect your existing roof to give you the best possible savings. What do roofing companies in Prescott, AZ do? Your Prescott, AZ roofing contractor can install a new roof or repair an old one, as well as repair and replace gutters. Good roofers in Prescott, AZ should be able to promptly inspect roofs and gutters to assess damage after a natural disaster or other event, and give you an estimate for the necessary roof repair immediately. Some Prescott roofing companies specialize in specific types of roofs, such as tile or metal, so make sure the one you are interested in works with the materials you have or desire. Find a Prescott roofer on Houzz. Narrow your search in the Professionals section of the website to roofing companies in Prescott, AZ. If you’re planning a large-scale project, find other professionals on Houzz who can help get the job done. Here are some related professionals and vendors to complement the work of roofing & gutters: General Contractors, Specialty Contractors, Siding & Exteriors, Door Sales & Installation, Garage Door Sales & Installation.